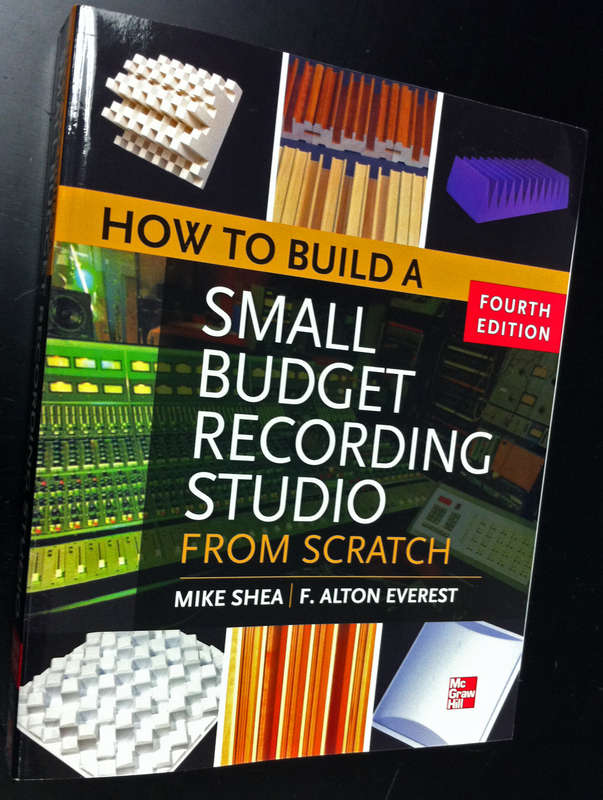 Acoustics First products are featured on the cover of How to Build a Small Budget Recording Studio From Scratch. The Model E Art Diffusor® is pictured in the upper left corner. The Model C Art Diffusor® is pictured in the lower left corner. The Double Duty Diffuser™ is pictured in the lower right corner. These are just a few models in the Acoustics First diffuser line. This book has been referenced for basic studio design for many years now and offers advice for professional and hobbyist audio engineers. Many of the principles contained in this book can also be used to create critical listening environments for home listening or home theaters. Be sure to pick up a copy before you begin studio construction. When designing and building a studio facility, proper planning can save loads of time and money. When designing any facility, always think Acoustics First! This entry was posted on May 22, 2012, 1:18 pm and is filed under Company Information, Press Release, Recording Facilities. You can follow any responses to this entry through RSS 2.0. You can leave a response, or trackback from your own site.